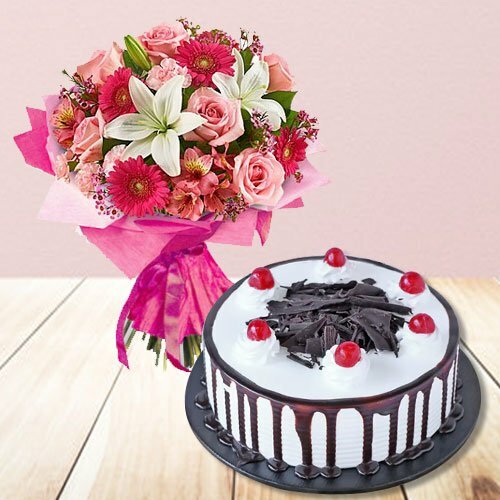 Mixed Flower Bouquet with Black Forest Cake 500 gms. from Top Local Bakery in the City. Mixed Flower Bouquet with Black Forest Cake 1 Kg. from Top Local Bakery in the City.